Boycotting Presidency Council (PC) member Ali Gatrani has said that Faiez Serraj is no longer worthy of leading a consensus government and the international community should throw its support behind Khalifa Hafter in his “legitimate” battle against terrorism. Gatrani asserted that Serraj’s call yesterday for international intervention to stop the fighting in the south demonstrated that the PC “has a specific agenda for certain countries, which have strived to control the national decision-making in Libya.” Serraj was allowing outsiders to control Libya’s future. 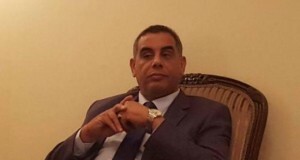 “There is no consensus behind what he says,” Gatrani insisted adding that Serraj sent out mixed signals on his view of amendments to the Libyan Political Agreement. Gatrani, who is still technically a member of the PC, said the international community should support Hafter and the Libyan National Army in its “legitimate battle against terrorism”. He said that with the Al-Qaida-linked Benghazi Defence Brigades operating in the south, Hafter had to be given the means to fight them. Meanwhile, the PC has set up a committee with the job of mediating between the warring factions in the Fezzan. It will be headed by local government minister Bidad Gansu, himself a southerner.